Life doesn’t slow down for anyone, especially for busy moms. Lately, I’ve really been focusing on finding quick and easy ways for me to relax and get my sanity back. From taking a walk around the block to turning my bathroom into a spa with Neutrogena Rainbath, here are some easy relaxation techniques for busy moms. This post was sponsored by Neutrogena as part of an Influencer Activation for Influence Central and all opinions expressed in my post are my own. This might seem obvious, but the opportunity to take a walk is never far away. Whether you are a working mom on your lunch break or staying at home with the kids, you should almost always be able to take a short walk. Even just a 5-minute stroll around the block can do wonders for your mental health. You will get a change of scenery, some fresh air, and a little exercise. These are all VERY good things! If you have the kiddos with you, they can go in the stroller, on their scooter or just walk along with you. I love it when other moms say that they can’t wait until their beach vacation to “finally” read that novel that has been sitting on their nightstand. One of the great things about reading is that you don’t actually need to have a week of sitting on a beach to do it. You can keep the book in your home where it can easily be accessed if you have a couple minutes to spare. These days, with apps on your phone, you can dive into your favorite novel in a matter of seconds no matter where you are. You can do this while the kids are taking a bath, while they are finishing lunch or during nap time. Even just a couple of minutes of reading can give you the “escape” that all moms need sometimes. Breathing is something that I have been focusing on lately. I’ve heard the term “don’t forget to breath” but never really thought about it. I feel like sometimes I do “forget” to breath. Sure, my body is automatically drawing breath, but not always in the amounts for maximum mental health. Try this experiment: Just take one minute and close your eyes. Breath in deeply, hold it and then slowly breath out. Feel better? Yep. I thought so! There are also a number of cool apps that will guide you through breathing exercises. This is one of the easiest relaxation techniques that anyone should have time for. I know, us moms covet their sleep like no one else. It would seem that any extra minute of elusive slumber you can get is pure gold. But I have found that getting up about 15 minutes before the rest of my family (especially the kids!) really helps out. Just those couple minutes of quiet “me time” gets me in a great state of mind to tackle the day. If your school mornings are anything like mine, things are pretty cranky and a little crazy. It is no fun to deal with all this drama while I am half-asleep myself. But if I’ve had some time to drink my coffee, read my book or watch the news, then I feel like I’ve already got a head start on any wrenches that may be thrown into our morning routine. And there are ALWAYS wrenches in the morning routine, right? One of my favorite easy relaxation techniques is taking a bath. You don’t need to wait to get that gift card to the spa to have the ultimate experience in pampering. There are some really great products out there that can really turn your own bathroom into “relaxation central”. 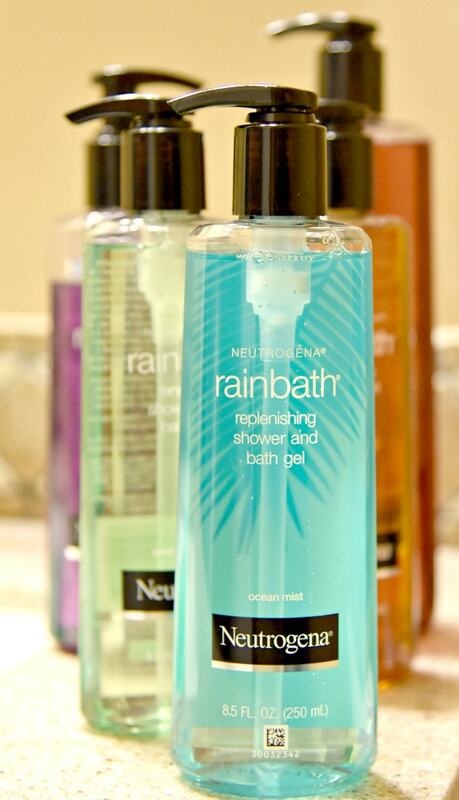 My favorite product to use for some much-needed unwinding is Neutrogena Rainbath. 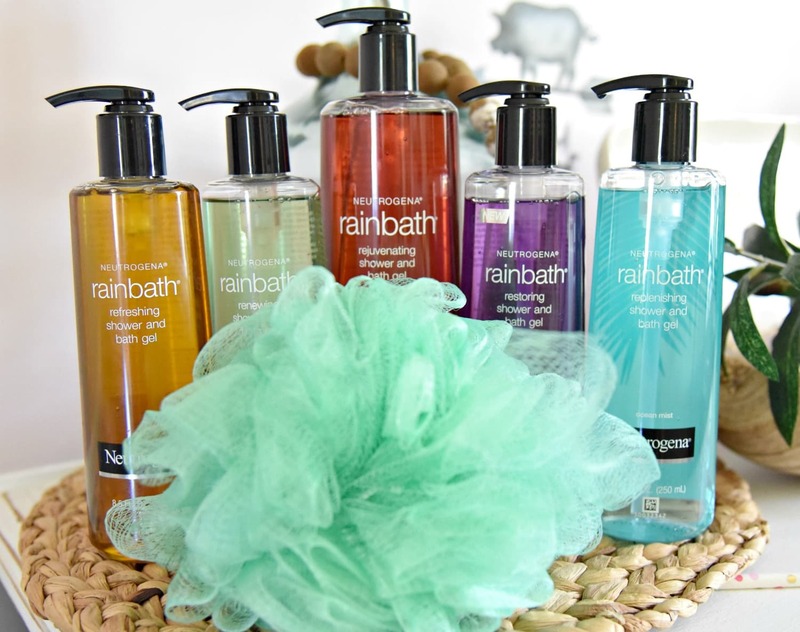 One of the things that I love most about Neutrogena Rainbath is how versatile that it is. It is a shower and bath gel that can be used by applying directly to your body added to a bath or for shaving. 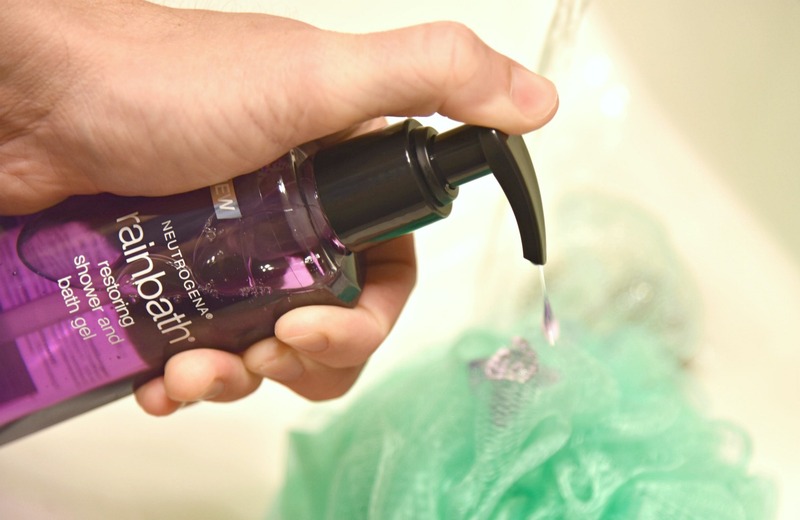 I don’t need to clutter up my bathroom with tons of products, Neutrogena Rainbath has me covered for the ultimate spa experience in my own bathroom. This is a must-have for any busy mom! I love the smell of Pear so I tried out the Renewing Shower and Bath Gel with the scent of Pear & Green Tea. I used it to draw a bath and spent some well deserved time relaxing. The scent was fresh and light and reminded me of a happy, bright Spring day. Neutrogena Rainbath is easy to find at your local Walgreens or at Walgreens.com. 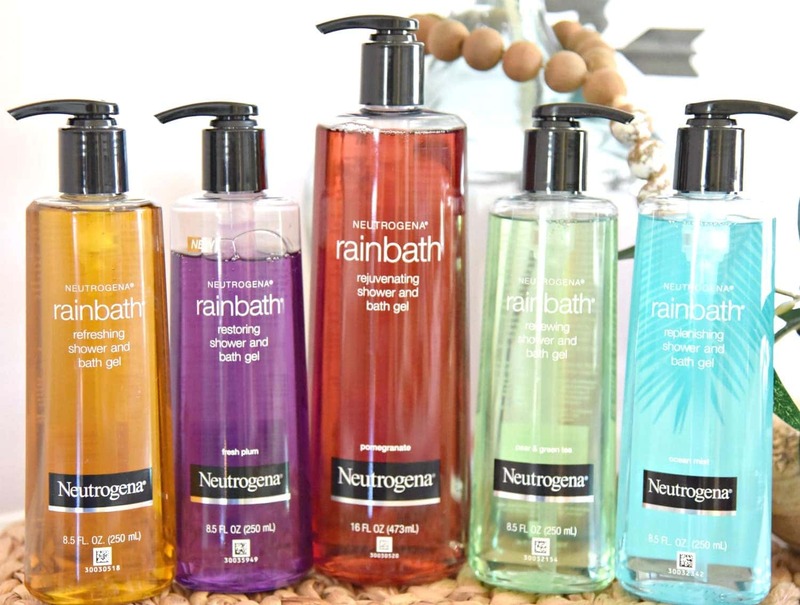 Also, you can enter a Neutrogena Rainbath bundle that includes one of each of their 5 refreshing scents. You can enter the contest below anytime between October 1st through November 4th, 2018. I-C will randomly select winners from all program entries and RPR will facilitate fulfillment of the winning prizes of 10 winners. Even if it is just for a couple minutes during the day, every mom needs a moment to gather herself for some serious “me time”. I hope that these 5 easy relaxation techniques will help you get through this adventure called parenthood. If you take just a small amount of time in your day from them, you will reduce your blood pressure, reduce muscle tension, regulate your heart rate and improve your physical and mental health. It doesn’t take much at all to achieve this. I just the awareness that you need it and, most of all, you deserve it.